The next generation of behind-the-scenes movers and shakers is rising up with fresh passion, bounding energy and unbridled drive — without them, the "new Buffalo" wouldn't have begun to take hold. Whether they're shepherding along the Queen City's entrepreneurs, reimagining what it means to be a full-service marketing agency or coming up with creative ways to match superstar workers with the companies that need and deserve them, the next generation of leaders in their fields is coming up fast. Here is a look at one such standout; click here to see more. 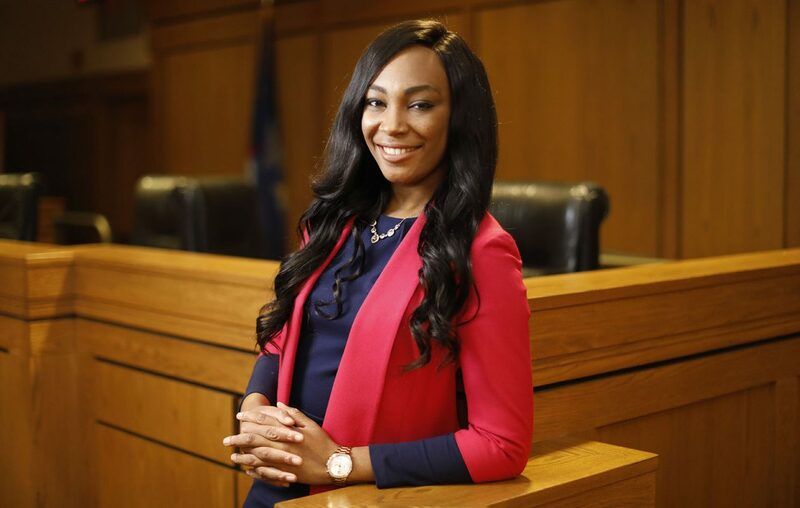 At 28, Tolulope Odunsi is president of the Minority Bar Association of Western New York and a full-time lecturer at the University at Buffalo School of Law. As president of the Minority Bar, she has developed a series of “Know Your Rights” workshops helping Western New Yorkers understand their rights and responsibilities when engaging with law enforcement. She serves as an attorney mentor for law students through the Minority Bar and as an alumni mentor through the Black Law Students Association Mentorship Program at the American University, Washington College of Law. As a full-time lecturer at the University at Buffalo School of Law, she teaches legal analysis, research and writing. A book she is contributing to, "Pan African Spaces: Essays on Black Transnationalism," will be published by Lexington Books in January.